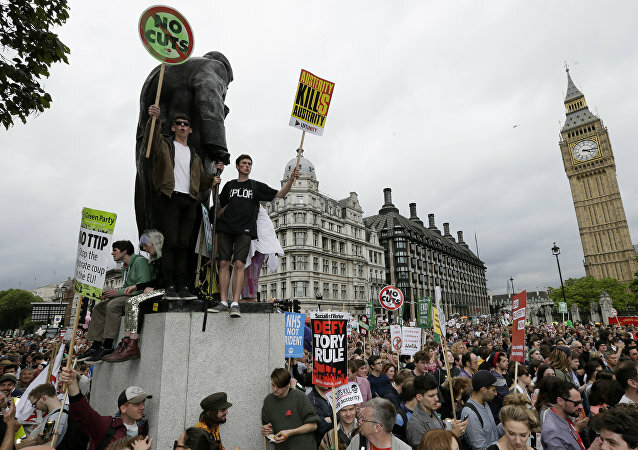 Ever since the Labour government that had lost both the trust and financial confidence of the British people was ejected from power at the 2010 general election, the word "austerity" has come to define British politics. Britain's Anti-Tory Hysteria: A Case Against Democracy? 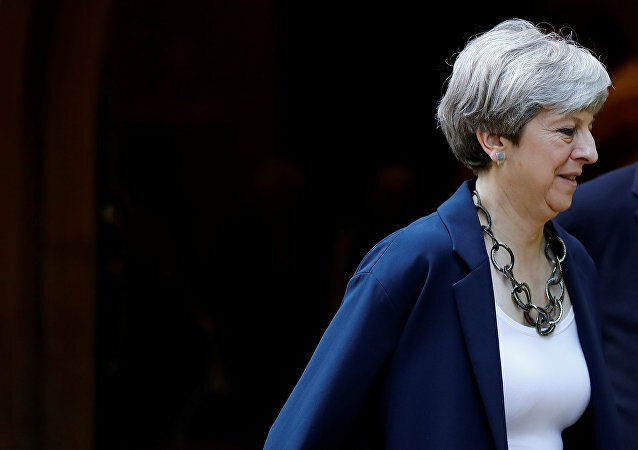 Theresa May's Conservatives managed to cling onto power for another term in the June 8 surprise general election, though a coalition with the DUP was required to secure a ruling majority in the House of Commons. In the aftermath of the eventual victory, and the beginning of Brexit negotiations, calls for Theresa May to resign are persisting. Following consultation with 200 of London's leading businesses, UK business group London First has issued a set of proposals setting out key objectives for the government once the country secedes from the European Union. One of the group's member firms has told Sputnik Brexit could be a prime opportunity to rectify the country's "skills crisis." Two days after 10,000 people marched through London to demand an end to austerity, cracks have begun to appear in the Conservative Party. 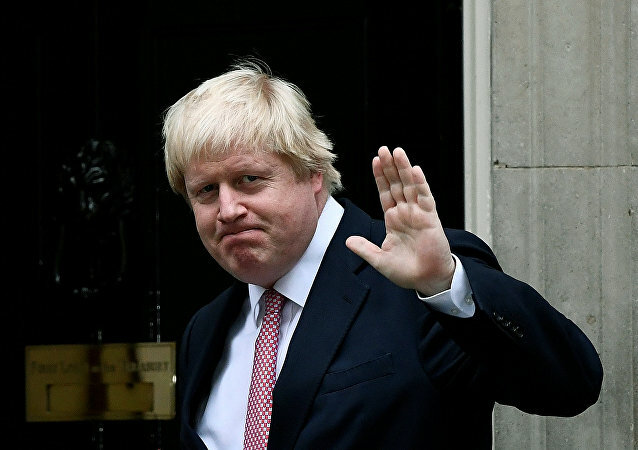 Foreign Secretary Boris Johnson has called for an end to the public sector pay cap. Andrew Breitbart and Jeremy Corbyn could hardly be two more different men. It is difficult to imagine that the vegetarian, old leftist leader of the UK Labour Party and the deceased American conservative journalist, publisher, and boss of the Breitbart News network would find much to bond over if they were stuck in a lift together. On June 19, official negotiations on the UK's secession from the European Union finally commenced. 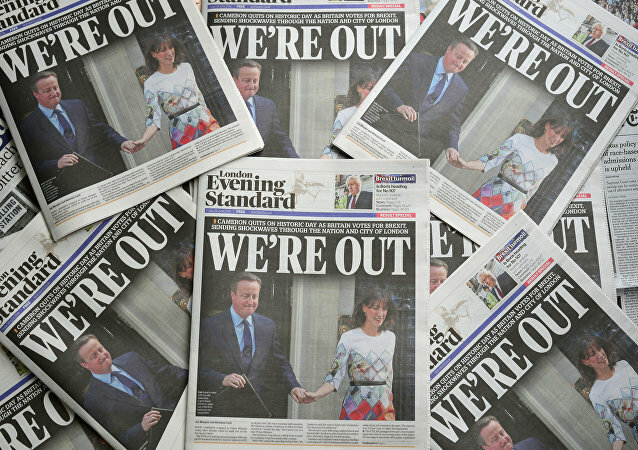 June 23 marks a full year since the referendum's shock result, in which 52 percent of UK voters opted to depart the bloc, ending the country's 44-year membership with the bloc. Labour Party leader Jeremy Corbyn has overtaken Theresa May as a more popular choice for Prime Minister among the British public, according to a new poll. Mrs. May's ratings have been hit by the fallout from the Grenfell Tower debacle. Will June (or July) Bring the End of May? How much longer can Theresa May survive as British Prime Minister? On 20th May she famously posted on her Facebook page: "the cold hard fact is that if I lose just six seats I will lose this election." On today's BradCast, another blockbuster report confirms vulnerabilities in our nation's voting systems that I've been trying to warn about for more than a decade, and several other stories not receiving the dire attention merited this week. 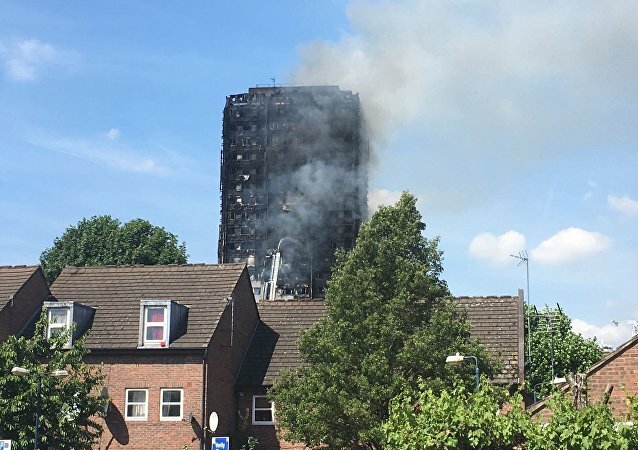 The smoldering high-rise tower block in London where families were burned alive this week now stands as a vile condemnation of Britain’s get-rich Tory government. 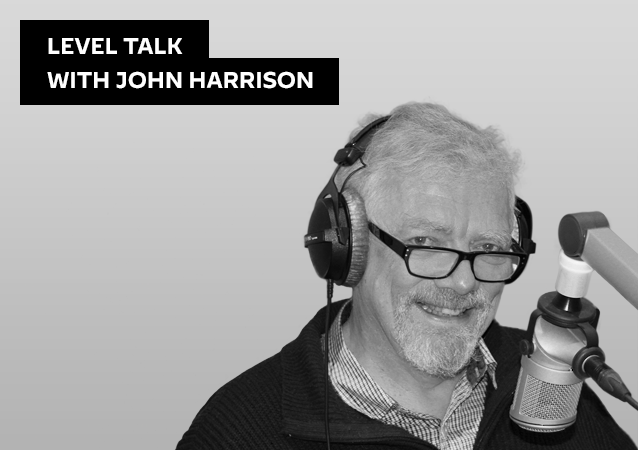 Shifts in UK Foreign Policy After the General Election? The political landscape is still very much shifting in the United Kingdom but one thing that can be safely said is that the political middle ground has moved further left. What does this mean in terms of Britain’s foreign policy? Thirty-five years to the day, June 14, since Argentina surrendered to the UK after its occupation of the Falkland Islands in the South Atlantic, sending Prime Minister Margaret Thatcher's political worth into orbit, Theresa May is facing the fact that she has blown her "Falklands moment" as she ponders life after a bungled snap election. 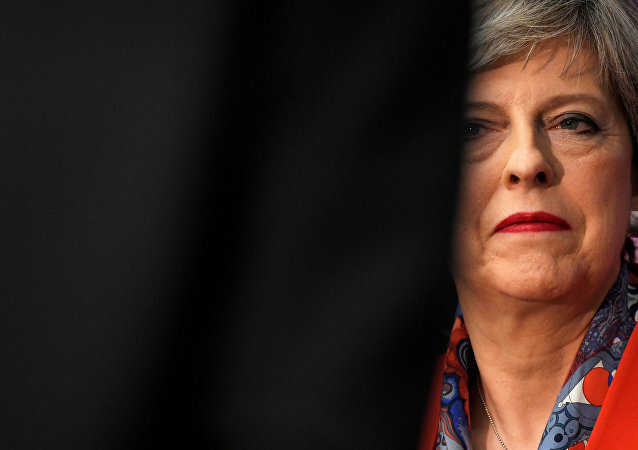 The hubris with which British Prime Minister Theresa May called an early general election back in April ended in humiliation at the polls on June 8, intensifying the very political crisis she'd expected to resolve with her anticipated re-election on an increased share of the vote. 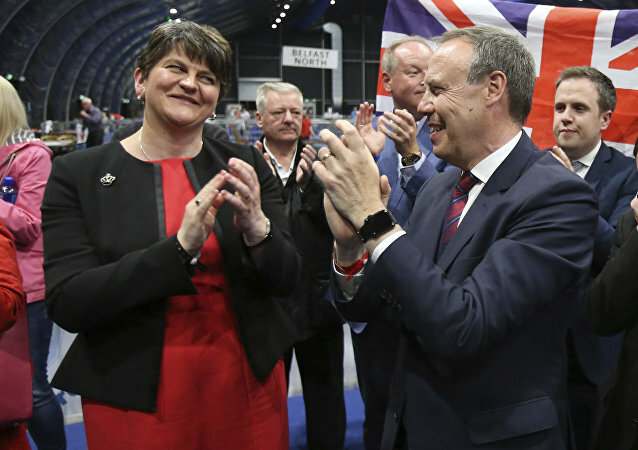 UK Prime Minister Theresa May is having talks with Arlene Foster, the leader of the Northern Ireland Democratic Unionist Party (DUP) is a right-wing unionist political founded by the Protestant fundamentalist leader Ian Paisley. UK Prime Minister Theresa May flies to Paris, June 13, to meet French President Emmanuel Macron a day after she admitted responsibility for a car crash of an election, in which she lost her overall majority. She is now seeking to use the famous Entente Cordiale to boost her image at home and abroad. The April 1998 Good Friday Agreement achieved what even a year previously many had thought impossible – an effective resolution to the ethno-nationalist violence waged in Northern Ireland for almost 40 years. Now however, the relative calm achieved by the accord could be in mortal danger.